With the advancement in technology, people now have many important files, documents, & media that is normally store in their Andoid phone. Many times, you accidentally hit the delete button on your important document & there remain nothing in your Android phone but a huge free space that make not only you sad but also nervous that why you have done this? If the deleted stuff was some movie, or song, or any other media that can be downloaded again, then you can easily get it back by surfing it on Internet but when it comes to your important photos, videos, documents, study notes, etc. 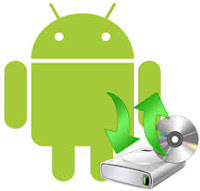 But now, you do not need to worry about this issue as this article will in detail tell you that how to recover deleted files on Android without using Computer or without rooting your Android phone. Also remember that this method does not require Rooting of your Android phone. As the problem of deleted data started, many apps have been developed & are available on Play Store in order to recover your deleted files like text, messages, photos, videos, media, or notes. It is not important that how many apps are there to recover deleted files but most important thing is that how many apps are able to restore your deleted data 100%. Before those apps, you will have to connect your mobile with computer & then will have to recover data from there but now, these apps allow you to recover data in an easy & simple way. The best thing about these apps is that you do not need any computer connection & this method does not require rooting of your phone. Have you Reset your Phone? 1) -The first thing that you should ask from yourself is that have you Reset your Phone after data has been deleted? If no then you can easily recover your data using apps but if you have reset your phone after the deletion of your files then it will be very difficult & almost impossible with any app to recover your deleted files yet you can recover some of them by connecting it with computer. 2) -If you immediately started recovering your data after its removal, then the probability of getting most of data back is maximum, but if you tried to recover it after week or month or so, then probability will decreases & it might will become difficult for you to recover it. 3) -Whenever you delete any file from your Android mobile then it basically disappears. This file is actually there but it is now present in a sector & is remove from the SD card of your phone. If you started recovering data, then data will be recover with maximum probability but meanwhile if you started copying other data, then almost it will become impossible because all of your deleted data sectors will now be replaced by new copied or deleted data so make sure if you have accidentally deleted some file, then you do not make any new installation or deletion of files before recovery of data. 1)-The very first step is to download GT Data Recover from Google Play store. 2)=After the installation, it will ask you about the type of files that you want to recover. 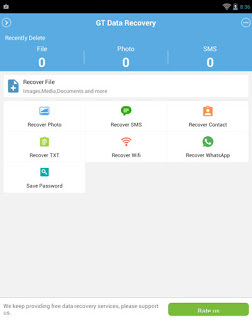 You can recover photos, sms, Contacts, Whatsapp, etc. The screenshot will better help you to understand this step. After the selection of files, a new window will be open. 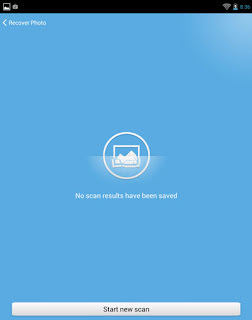 Now, click on start new scan in order to scan for all those files of that specific category that have been accidentally deleted. How to unhack your Android Phone? 3)-It will take some time to recover deleted data. After the recovery of data, you will see a list of files which have been deleted. You will have to surf for your own files which you have deleted accidentally. In this way, you will be able to recover your files. What to do if email has been hacked? Can somebody Hack Android phone & read text messages?